Ian Hawkey has recently published his second book, Di Stéfano, following the critical success of his debut outing Feet of the Chameleon. 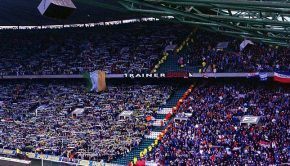 Elephant Sport caught up with the esteemed author and journalist to talk about the book. 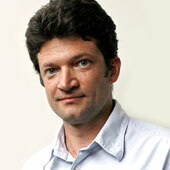 First of all, congratulations on writing one of the best sports books of the year. How different was the writing process of this in comparison to your debut book, Feet of the Chameleon? The subjects were very different. Feet of the Chameleon was very wide-ranging, covering a continent, Africa, and well over a century of football there, so in some ways I had to be more selective from the start in that. A biography is a different beast, although Alfredo Di Stéfano led such a full, varied and fascinating life that I also ended up with more material than there was space for. That’s a good position to be in, in many ways, of course, but it means one of the challenges is to decide what’s most relevant to the way the man was, his circumstances, his influences, his habits, while giving the right weight to his achievements, which were phenomenal. 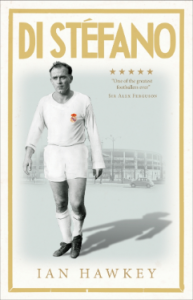 You are the first person to publish a book on Alfredo di Stéfano in English. Does that come with a lot of pressure? To get his story right; to enlighten a bigger audience? I certainly thought there was a gap, in that a book on Alfredo Di Stéfano didn’t exist in English. He is arguably the greatest individual in the world’s most popular sport, and the other candidates for that status have all been written about extensively in books in English (Pele, Johann Cruyff, Diego Maradona, Lionel Messi). As for pressure, any biographer – and every journalist, I hope – feels a duty to represent their subject fairly, so that’s a pressure in a way, but the process of discovery is very rewarding. If you could pinpoint one exact moment where you thought “I need to write about Di Stéfano,” what was it? I suppose it was when I first met him. I was working in Spain, covering Real Madrid a lot and, although he was in his 70s, he still had a huge influence on the club because he had lifted it to greatness, and set standards that every generation since of Madrid players, coaches and fans measure the club by. He was the honorary president in those years, and though he wasn’t always that approachable, he was fascinating to talk to, and very in touch with modern football. He had done so much to shape it, I soon realised, which drove me towards the idea of an in-depth book about him. Happily, Ebury, my publisher, shared that idea. In the book, we learn about Di Stéfano almost as a celebrity – one of football’s first. The parties he held at his house were one of the many indicators. How do you feel he would have settled into this age of modern football? That is a very good question. In many ways he was the first global superstar of the sport, I would say, in that he had this instant recognition – we can call it celebrity – outside the pitch and well beyond the borders of wherever he was playing. Much of what he did on and off the field broke the mould of how football worked in his era. On the playing side, he did things tactically that were very innovative and he had all the physical and technical assets to shine in any era. I think he’d have been a star in the 21st century on par with a Cristiano Ronaldo or a Messi. He could be confrontational off the field, standing up to his bosses, and certainly having a clear idea of his value. Footballers in his era were certainly not the multi-millionaires that so many are today, but his challenges to what he perceived as an unfair balance of work-and-reward in favour of those who ran the game and not those who played it had a long-term effect in terms of making the player more free to choose his employer and to earn more. He also did things in terms of advertising and marketing that hadn’t been done before. Put it this way, if Di Stéfano was around now, you’d see his image on all sorts of things, from Playstation to the latest boots, to various fashion accessories. What is it about Di Stéfano that makes him such an interesting character to write about? Is it the success? The goals? His family life? I think with all very successful individuals, there’s always a curiosity about what drives or drove them. Sometimes with sports people, it’s hard to specify beyond their exceptional physical gifts. With Di Stéfano, he had a fierce competitive impulse, and when I say fierce, it could be quite alarming, even for seasoned professionals who played alongside him. He also had that creative imagination that captures public interest, the ability to improvise on the pitch, and thrill a crowd. That takes a certain non-conformist attitude to achieve, I think, and that’s fascinating to understand. He was charismatic, too, even if he could be a bit grumpy sometimes. In his life he faced a number of setbacks and seeing how he responded to those was one of the main points of interest. His professional training didn’t prepare him for many of them – for events like being kidnapped by guerrillas in South America for example. It may be blasphemous to some, but do you think we will ever see a player of Di Stéfano’s ilk again? Someone with a rebel-streak who is also outrageously gifted and successful? That’s a very good question. There is a tendency these days to believe there is something a bit robotic about very successful modern footballers, or maybe all elite athletes in team sports, and maybe because of that to romanticise the flawed geniuses of the past, like Maradona or George Best. I suppose you might characterise a footballer like Zlatan Ibrahimovic, because he is outspoken and sometimes anti-authoritarian, in that ilk, although Di Stéfano was a better, more influential player than Ibrahimovic, I would confidently say. You travelled around South America when working on the book. Did you at any point get any ideas for a different book? Perhaps a different player, maybe? It’s hard to be around South American football and not recognise hundreds of great stories that would make a book! Certainly, in the period that Alfredo Di Stéfano was playing there – in Argentina in the late 1940s and in Colombia until the early 1950s – it was turbulent, often brilliant and gloriously unpredictable. The whole episode of the rebel Colombian league, which, out of nowhere, brought in some of the best players in the world, including from Europe, in the late 1940s, would make a great book. 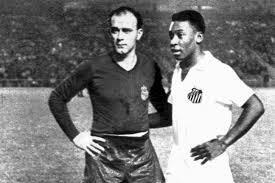 Pele said Di Stefano was the “greatest” player of all-time. What does Ian Hawkey himself think? Is he the “greatest”? This will sound like a fence-sitting cop-out … but, it is genuinely hard to compare across eras. 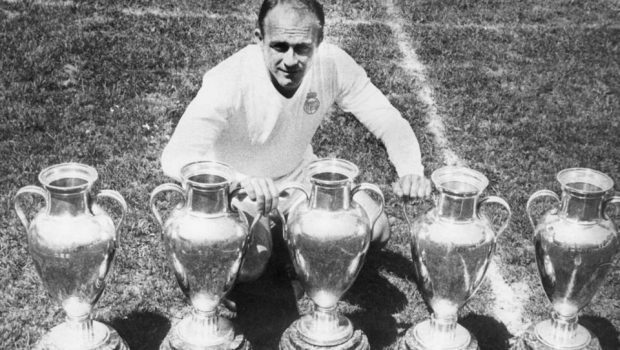 Watch the footage of Di Stéfano’s Real Madrid of the 1950s and 1960s now and you can appreciate why they were setting new standards, but you also note how slow the pace of their games are compared with modern elite football. Now, I believe Di Stéfano would have had no difficulty living with that speed, assuming he trained like a modern player, well into his 30s. More than that, he’d have thrived in it, because he was so quick-minded and for most of his career, exceptionally quick on his feet and as strong as an ox. 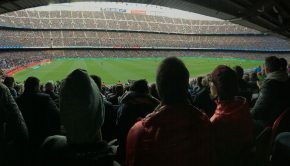 The other issue is that we don’t see that footage very often, whereas we still get exposed regularly to colour television images of Pele, Cruyff, Maradona exhibiting their brilliance. It’s that above all that maybe makes them more appreciated than Di Stéfano, who had the other disadvantage, usually for reasons of bad timing, to have not played in a World Cup. And, in my view, none of Pele, Maradona, Cruyff, Messi influenced the way football is played as much as Di Stéfano. He was as brilliant as any of them, so, with his legacy taken into consideration, he’s number one. 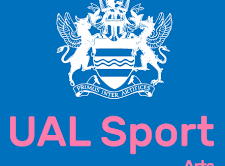 Elephant Sport would like to thank Ian Hawkey for his time. Di Stéfano is published by Ebury Press, hardback £16.59. For more details, click here.